Ok, I haven’t updated in a while. I was hoping to have more concrete progress to report. I have a lot of partials, but few things crossed off for good. Oh well, slow and steady wins the race. One to the list! 99. Add 5 DVDs to my collection and watch them. A few months ago I got the movie District 9. I love Peter Jackson as a director so I figured I’d give it a shot (I heard he produced this). Success i’d say. I really liked this movie. Totally not what I expected, but it was great. I wonder if there will be a sequel. Sure has set itself up for one. A really cool Sci-Fi mock-documentary. 81. Try 10 new Microbrew beers I have never tried. I had a lot of fun trying micro-brews these past couple of months. I can add another 4 micro-brews to the tally. The first, was a beer called Hop Stoopid. Pretty hoppy, but really good. I’d rate as a “would drink again.” Then my friend Ryan brought me over a bottle of Hop Slam. Always a great source for new beers, I wasn’t disappointed. I’d definitely throw one down again. And speaking of Ryan, while at his house, he gave me a glass of his home made micr0-brew. It was pretty tasty from what I remember (was a while ago). But I’m eager to sample his next batch of homebrew. Last, was a beer I had while at my favorite restaurant Two Brothers. 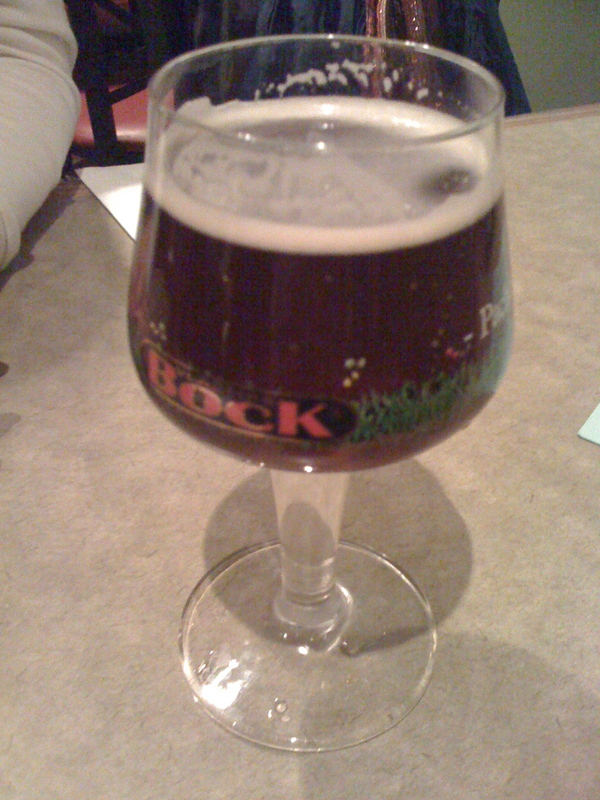 It was a special beer they had in called Cuvee Des Jacobins Rouge from belgium. Pretty expensive as far as beers go, but it was pretty tasty. Described as Sweet and Sour, Tart and Savory and smells like a backyard. Which i’d find to be pretty accurate. 87. Make a batch of beer. While were on the subject of beers, I can finally cross one item off on my list. 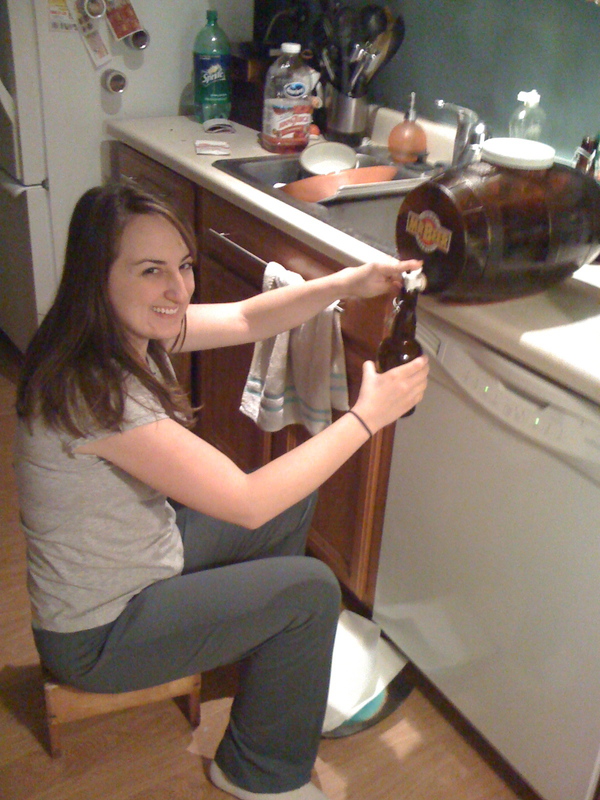 These past few weeks me and heather busted out the Mr. Beer kit and brewed up a batch of Octoberfest. Can’t wait to try it, it should be ready in about another week at least. But I have 16 resealable “grolsh” bottles. Bottoms up! 76. Try 5 new restaurants. I can’t believe it has taken me this long to try a new restaurant, but I finally did. After our favorite hangout 2 brothers had a 1 hour wait, we drove around all over looking for a new dinner spot. Luckily, we stumbled across a burger place called Meatheads. Custom burgers, chili cheese fries, lots of weight watchers points, My kind of place! It wasn’t the best hamburger I’ve ever hard, but the food was good and I’d go back for sure. Making progress on the board game item is always fun. With our usual RPG game canceled for one night, we busted out some board games. Shadows over Camelot came off the shelf. I love a good Co-op game. For those that have played, it can be sometimes hard to win, but win we did. And probably had the easiest time we ever had. Go us! For new games, I tried a game called Red November. 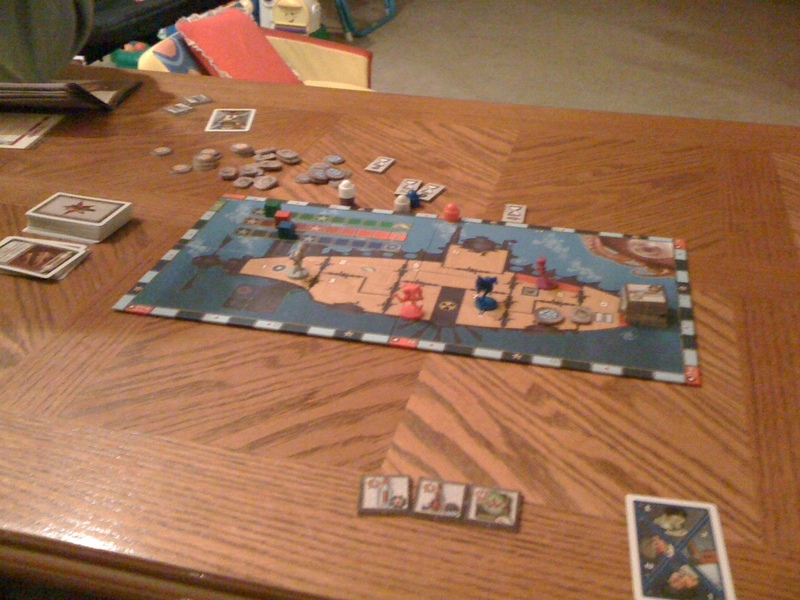 Another co-op game where you are a group of gnomes trying to survive on a doomed submarine. Great concept, and I liked it (heather clearly didn’t). The only big downside of the game is that there can be a lot of downtime before your next turn. The game has a few quirky mechanics that I didn’t like as well. I’d play it again, but probably not add it to my collection. 67. Read 5 new fiction books. Following up on my last post, I finished a book called The Two Swords. The 3rd in a fantasty series. It was a good book, R.A. Salvatore is a pretty good author. Although now I’m stuck with nothing to read again, so I’ve began making headway on goal #5. 13. Give heather flowers 5 times. Ah Valentine’s day. Where, as one video game I played said about it, the combination of “commerce and reproduction.” Heather loves flowers so I figured what better time then to give her a lovely bouquet. Although I don’t really need a commercial holiday to tell her I love her. Take that Sweetess day. 19. Cook 5 meals for heather of her choosing. Well that’s it for this update, hopefully the next one will have a bit more then 1 item fully crossed off! Funny, District 9 was one of my 101s as well (watch at least half of the Best Picture nominees). It was what I expected, but it definitely did surprise me at times and loved every minute of it. Congrats on the progress! PS: Ask Alex about how we acquired Red November. Quite an interesting story for a so-so game.